For this week's Art of the Day we selected seven pieces of art that caught our eye. There was no long deliberation. There was no formula or theme. Fort this week's art picks the media didn't matter, who created it didn't matter and the subject didn't matter. We came, we saw, we put it in Art of the Day. 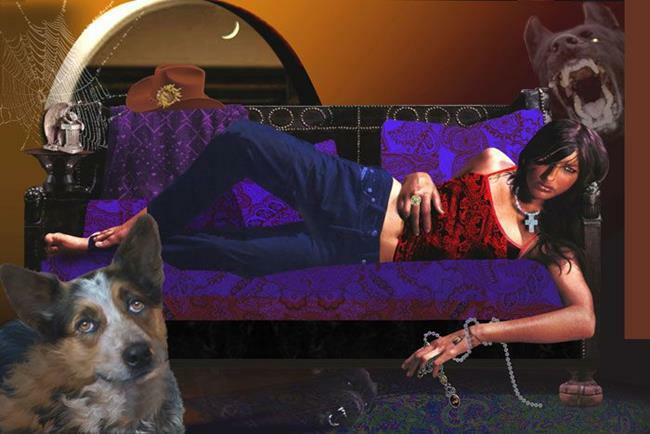 Black dog depression and illness haunts an ill cowgirl.